How to play background music in your gym? An easy and legal way. What music is the most convenient for my gym? Why to play background music? In previous articles, we have talked about the importance of music in restaurants. And is that its persuasive effects on customers are already a reality commonly accepted by all. Gyms are no exception in that sense since music also helps to produce that feeling of relaxation so relevant when it comes to achieving a higher probability of someone contracting a service. But that’s not the only advantage of using the musical element on your fitness center. The effects music has on the performance of athletes when training are diverse, which can help you considerably to retain those increasingly demanding customers. In this article I will show you the effects of music on the performance of people and discover which are the most suitable musical genres for each moment of training. If you own a gym and want to get the most out of your business you will findin this article different tips that will surely help you to achieve business success with your center. One of the most important issues to take into account when choosing one type of music or another is your client’s tastes. Therefore, you should avoid the influence that your own preferences can exercise when making a decision. The ideal is to opt for the most popular musical genres, with famous and well-known songs. You must bear in mind that these can change according to the type of client, since it is not the same as the majority of athletes in your gym are 20-year-olds over 40. We must also bear in mind that the speed and rhythm of the music can determine the intensity with which the athlete performs the activity. For the warm-up phase of any activity or class, you will have to use not so animated music, so that people can start making some effort in the correct way. During the development of the main activity, you should opt for a higher music rhythm so that the athlete is more likely to follow that intensity and to give the maximum. And for the final stretch phase, the music to choose should be calmer to help relax the body and the different muscles activated and exercised in the two previous phases. Music also has a social component. The presence of background music in a gym creates a more relaxed atmosphere, which can favor the establishment of conversations with other athletes who are training at that moment, even though they do not know each other previously because eliminates the awkward silences. Many clients come to the gym alone and without knowing anyone. In that sense, music can help them, apart from improving their performance, to feel more accompanied. Once all these advantages of using the musical element in gyms have been demonstrated, you are probably wondering where you can buy that music. The vast majority of songs you listen to in your day to day are protected by the so-called copyrights. To put any commercial music in establishments the main PRO’s (Performance Rights Organizations) make you pay a monthly fee since otherwise an offense would be committed for improper use of musical content. However, in recent years and thanks to the Internet, other cheaper and better alternatives have appeared. In the case of gyms and fitness centers, the main PRO’s in every country offers the possibility of buying licenses that allow you to use this music protected by copyright in a legal manner. However, sometimes their prices can be somewhat prohibitive. The rates offered by usually vary depending on the size of the gym or the place where the classes are conducted. You will have to check the exact rate you would have to pay for your gym calling them, as many variables are taken into account in pricing. If you choose to use music without permission, a court can assess damages, a minimum of $750 for each song “infringed,” and can require you to pay attorney’s fees and court costs. Soundtrack Your Brand and Jamendo Licensing. was created in 2013 with the aim of offering the possibility of using background music in all types of companies and business premises in a legal manner. It has the support of Spotify and in fact, several of its workers come from this company, with which they have signed a collaboration agreement. One of the strong points of this platform is the great amount and variety of music available: 30 million approx. The possibility of importing playlists from your Spotify account. Soundtrack Your Brand has a fixed price of $26.99 / month. And today we can enjoy a free 30-day trial period as well. It has different types of licenses but the one we are interested in is the IN-STORE, which will allow you to have unlimited access and use of the music broadcast on 27 online radio stations of different music styles. From 51m2 to 100m2: 7,99€/month. From 101m2 to 400m2: 9,99€/month. From 401m2 to 1000m2: 19,99€/month. In addition, Jamendo is currently offering a free trial period for 2 weeks so you can test their service without any commitment. Most people who go to the gym for physical exercise do so, among other reasons, to disconnect for a few hours of their routines and problems. In that sense, the fact of using music in your center can help them escape from a reality that many do not intend to flee, but simply to rest. According to a research carried out by the Brunel University in London, it has been scientifically proven that music exerts a great influence on different essential aspects so that an athlete can perform at the highest level in their training. This effect is to reduce that feeling of fatigue that any athlete usually notices at some point in their training. In this way, the person in question is able to focus more on their own exercise than on other aspects that can negatively affect their performance, such as fatigue. Music is also capable of stimulating the organism so that it can offer a maximum performance effort at those times when more physical load is required. On the contrary, music can also help to relax the body when the exercise is smoother. When the movements in any physical exercise are done in a synchronized way with the music, they usually require less effort than when we perform them without synchronization, since then they occur less naturally and, therefore, require more wear. It is also scientifically proven that people tend to have more ease when it comes to acquiring motor skills with the help of music, either because it is able to create a fun environment or because of the influence of the meanings of the songs on the athletes. The last effect of music has to do with fluency since the presence of this makes any task is done much more fluid than others in which there is no presence of this musical element. The importance of music in gyms is more than evident. 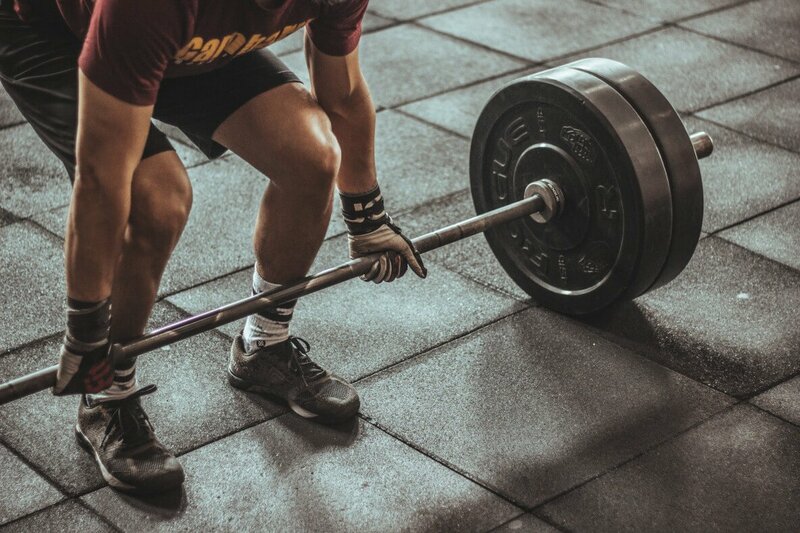 It can be justified by its effects when increasing the number of sold memberships, by its influence on the physical performance of the athletes in their training or simply by their help to anyone when it comes to evading their routines and problems. Whatever the reason, there is no doubt about the influence of music on the success of any type of physical business, both to get new customers at the time of decision making and to build loyalty by offering an ideal service. Seeing the easiness and the affordable price of the platforms that we have talked about, Soundtrack Your Brand and Jamendo Licensing, you have no more excuses for not starting to manage this fundamental element for the success of your business.